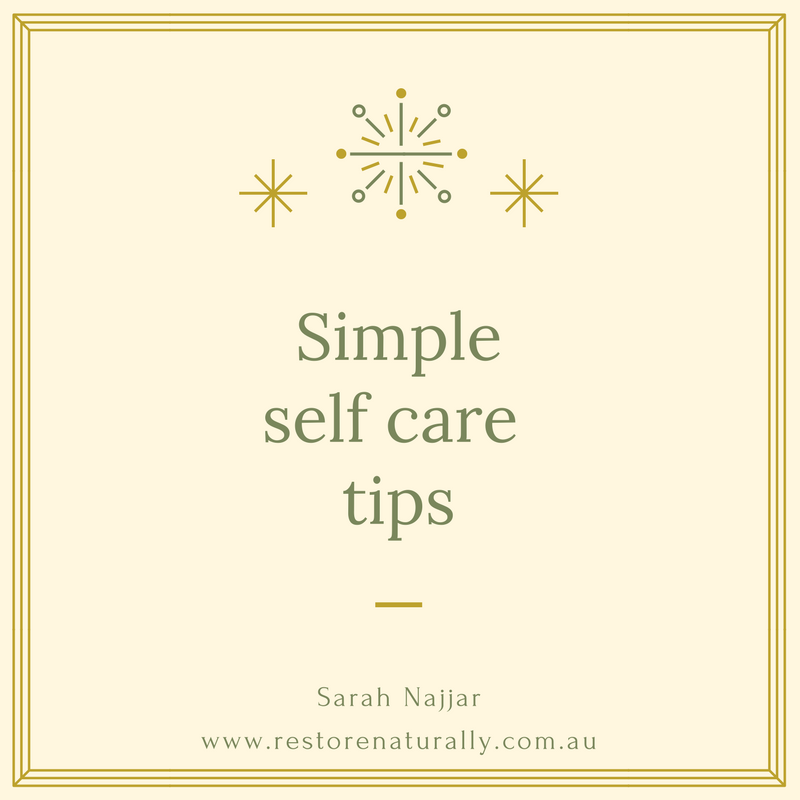 Self-care is taking time to look after yourself so you have enough physical and emotional energy for yourself and others. 1. Enjoy a 30 minute lunch break. If you work in an office enjoy lunch away from your desk. Savour the food you are eating. It’s a wonderful way to practice being in the present moment. A few days each week enjoy walking or riding along bike tracks. As you walk, a little more challenging if you choose to ride, tune into sounds around you. The sound of birds chirping raises your spirit and brings you to the present moment. 3. On your way to and from work or school take a moment to look at the trees or sky around you. This too helps to bring you to the present moment and distracts you from your mental “to do list”. 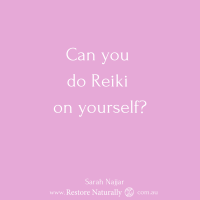 A Reiki Level One course attendee shared a wonderful daily practice. She made time to look at the first star that appeared each night. A beautiful way to honour dusk and embrace an evening. 4. While seated at work or at home create a bell reminding you to check your posture. a) Are both of your sitting bones connected to the seat beneath you? b) Are both of your feet firmly planted on the floor? c) Are your collar bones gently widened? 5. Practice being gentle with yourself. One aspect of this is acknowledging and experiencing challenging thoughts and emotions and then letting them go. 6. Spend time away from electronic devices such as your computer, iPad and phone. These devices drain your energy. a) Store your mobile phone outside your bedroom as you sleep. If you need to keep it in your bedroom turn it off before you sleep. b) Enjoy days that are completely mobile phone free. Leave your phone at home when you go out with friends or go shopping. Primarily during winter but throughout other seasons as well incorporate warm foods into your diet so your digestive system needn’t overwork to convert food into energy. Having firm boundaries is essential for maintaining your health and wellbeing. 9. Allocate time for activities that make you feel happy – naturally! I first heard the term “self-care” in 2006. 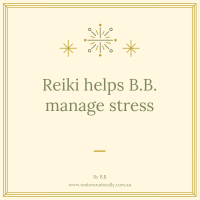 I wanted add to expand my knowledge of holistic health practices so I enrolled in a Diploma of Shiatsu and Oriental Therapies. I’m grateful that during my training I learnt about managing diet, breath and lifestyle to create greater holistic health. I still incorporate these teachings into my life. I also share them with those who I see during treatments and in courses. 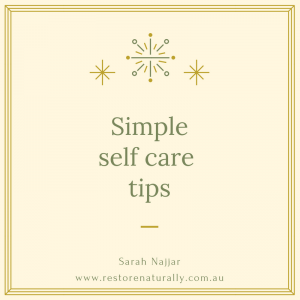 Ongoing self-care is a practice for natural givers. 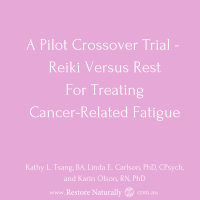 I experience and see imbalances such as depleted energy levels, anxiety, depression, illness and injury occur in myself and those I am privileged to serve when sound self-care practices aren’t implemented. 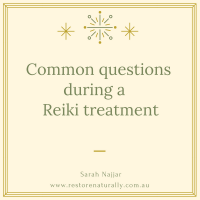 These imbalances are often a reminder to maintain or extend self Reiki practice, receive a treatment or gently begin to implement some of the tips above.